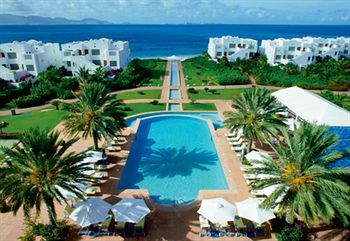 CuisinArt Resort & Spa Anguilla is located on the shores of Rendezvous Bay Anguilla. CuisinArt Hotel Anguilla is not just any resort found on this beautiful island. It is the "WORLD'S ONLY RESORT HYDROPONIC FARM".CuisinArt is the first resort farm of its kind. It is a soil-free growing method producing the fresh and healthy vegetables and edible flowers on Anguilla island. The crop is harvested everyday, providing the purest ingredients for both CuisinArt's meals and spa regimens. On your scuba diving trip to Anguilla, be sure to visit the greenhouse and organic gardens at Cuisinart. Expect a complimentary full breakfast, at the poolside restaurant, Café Mediterraneo. Lunch and dinner is also served.